Stormzy has launched a new scholarship fund for BAME students aiming to attend Cambridge University. The university has been criticised for its lack of diversity, with some colleges not admitting any BAME students at all in the period 2012 - 2016. Stormzy wants to help change this, and announced the Stormzy Scholarship Fund this morning (August 16th) at his old school in South London. 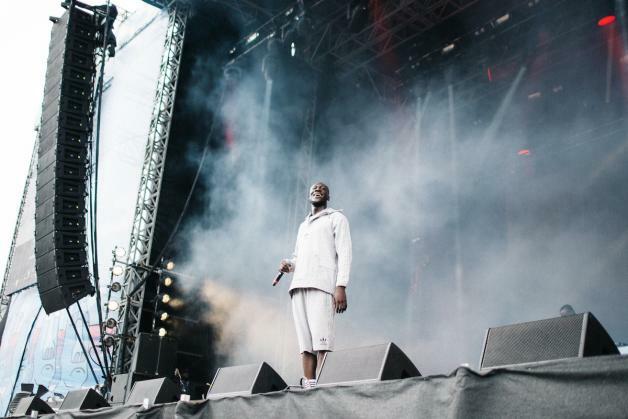 Students across England and Wales are waiting on their A-level results, with the Stormzy Scholarship set to pay for course tuition fees and provide a maintenance grant for up to four years of an undergraduate course. Stormzy commented: "It's so important for black students, especially, to be aware that it can 100% be an option to attend a university of this calibre." The move comes as Stormzy also prepares to fire up #Merky Books - a new venture with Random House aiming to open up the world of publishing to young people from different backgrounds. For tickets to the latest Stormzy shows click HERE.